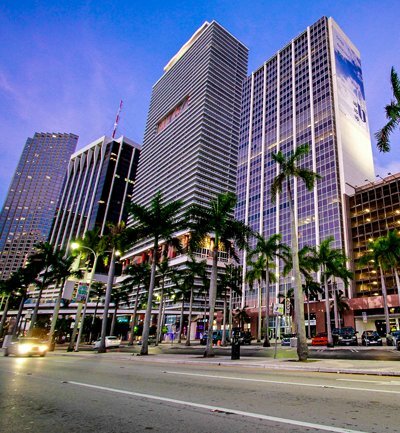 Downtown is Miami’s urban city center, home to many mayor museums, parks, education centers, government buildings, courthouses, consulates, theatres, shops, and many of the oldest buildings in the city. Along with Coconut Grove, Downtown Miami is the historic heart of Miami where urban development started back in 1890’s. Bayfront Park and Museum Park are Downtown’s largest and most popular parks.Various annual events take place at Bayfront Park such as Ultra Music Festival, and weekly free concerts take place at the park’s amphitheater. Family’s attractions include the Perez Art Museum, Frost Science Museum, Miami Children’s Museum, The Freedom Tower, among others. There is plenty to enjoy at Downtown Miami’s Adrienne Arsht Center for the Performing Arts, Gusman Center (Olympia Theatre), and Miami City Ballet.